Anytime you’ve been soaking up the natural beauty of the American landscape, it has probably been protected by the National Parks Service. This organization is about to celebrate a century of service this month and you can learn all about their work with us. In 1916, Congress created this body, which was previously known as the Department of the Interior. After a period of American history in which the public became more interested in the natural landscape and features, the National Parks Service was born. This was a condensation of the Department of the Interior and had more power in many jurisdictions, rather than being regionalized. Their original mandate was to conserve the landscape, as set out by President Woodrow Wilson. The role that the National Parks Service now plays is much more than that, as they educate, conserve and even take on charitable tasks. There are 59 national parks under the National Parks jurisdiction, which are not easy to maintain. Areas of natural beauty are essential to the environment and for the enjoyment of those who visit them. Around 84.4 million acres of land are part of the National Parks System, including some of the most famous scenery in the world. Over the year, approximately 280,000,000 visits are made to the areas in the National Parks System. Each visitor is catered to with educational tools and information that they require to have a safe time in the park. The Blue Ridge Parkway is the most popular park in terms of visitor numbers and the top ten handle most of the traffic. With each visitor, the job of those within the service becomes more difficult as they must guard and look after each area of the park. Some of their most popular campaigns have been to reduce the amount of litter in the parks and make their visitors aware of the prevention of forest fires. The youth programs from the service are ones that many look back fondly on from their childhood. Many people grew up in the Boy and Girl Scouts, who become a part of the system to protect the landscape. The early education of these scouts is ideal for those that wish to enjoy the outdoors safely and learn about how to assist the service. There are more than 20,000 employees of the service and these people dedicate their lives to the mission of the body. They’re supplemented by over 200,000 volunteers who help out on a regular basis in a number of roles. These can be anything from leading a scout troupe to picking up litter on the weekend. The American people appreciate the contributions that this service makes, as they maintain our culture and heritage for further generations. 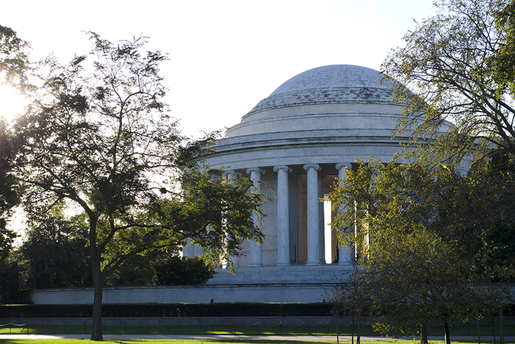 Within Washington DC, you’ll see rangers at some of the attractions, celebrating the centenary of the service. Book one of our tours to learn all about the sites that they protect and the best places to spend your time in the city.